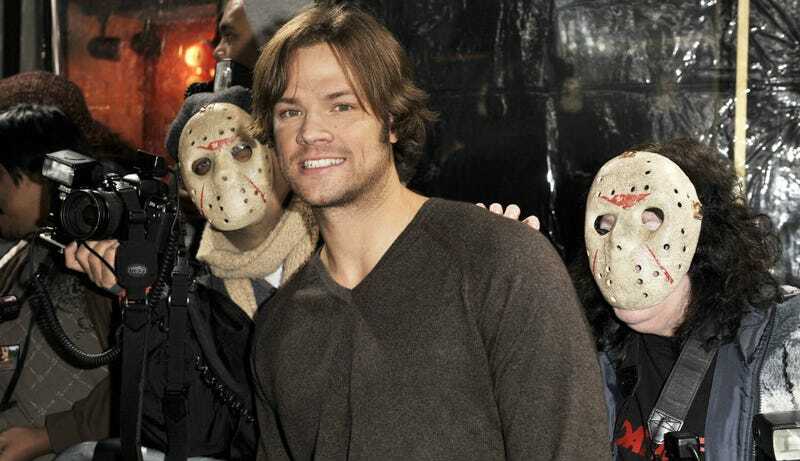 Jared Padalecki Thought Philip Seymour Hoffman's Death Was "Stupid"
Oh boy. In a tweet he has since deleted (probably a good call) Supernatural uber star Jared Padalecki told his Twitter fan base that the death of Philip Seymour Hoffman was "stupid." Padalecki, who maybe needs to spend some time learning about the devastation of addiction, told more than 1.2 million of his Twitter fans that "Sad isn't a word I'd use to describe a 46 year old man throwing his life away to drugs." First off, at the very least it's pretty insensitive to refer to the death of anyone as "stupid" within hours of when it occurred. But let's remember for a moment that Hoffman had a long battle with addiction, which he himself freely and openly acknowledged to the public. He was in rehab as recently as May of 2013. I don't believe in massive online pile-ons when people make mistakes like this. However, when a celebrity who has more than 1.2 million fans who actively follow him on social media, he or she owes it to them to think long and hard about the opinions and beliefs they promote and just what the overall consequences of that might be. Whether we like it or not, he is a popular figure to lots of people and it might be cool if he wasn't so dismissive—and downright flippant—about a topic like drug addiction and the death of a someone who clearly struggled with it for most of his life. We do need to hold people like Padalecki accountable for what they think and say to the millions of people who follow them, not so we can enjoy a good ole' fashioned Twitter witch hunt, but so we can help make sure the conversation around these topics isn't tainted by misinformation and rash judgements. Apparently Jared Padalecki's definition of "tragedy" doesn't include a man dying of an addiction he fought for 20+ years, and leaving behind his partner of 15 years and 3 small children.